Family law is the body of law that affects family relationships, including cohabitation, marriage, adoption, parent-child relationships, divorce and child custody. Cohabitation - Although most states offer few legal protections to partners who live together, a small number of states recognize common law marriage, marriage that may result informally from a couple's choice to live as if they are married. Cohabitation and domestic partnership also often results in protections against domestic violence and similar conduct, through criminal laws against domestic violence and stalking, and the availability of orders of protection. Domestic Partnership - Some states permit couples to register as domestic partners without becoming married, and may offer domestic partners legal rights that are otherwise not available to unmarried couples. Marriage - Marriage laws define when a state will regard a couple as married, including the recognition of marriages from other states and nations. In addition to defining how family relationships are created, family law encompasses the legal rights of people whose family relationships have broken down. Separation - Many states allow for married couples or domestic partners to commence formal, legal separation proceedings, allowing for entry of orders dividing assets, addressing child custody, and allowing for orders of child or spousal support without the commencement of a divorce action. Even without legal separation, state law may affect the rights of a separated couple in the event that the later divorce. Divorce - When a spouse wants to end a marriage, that spouse may file a divorce action that asks a court to end the marriage. A divorce action usually also involves the division of marital assets, and may involve spousal support (alimony), child support and custody issues. Child Custody and Visitation - Both divorcing married couples and unmarried couples may ask a court to decide issues relation to custody and parenting time for their children. Third Party Rights - Family law governs when a third party, such as a stepparent or grandparent, may attempt to gain custody or visitation rights to a minor child. Child Support - Parents who maintain separate households may ask a court to enter a child support order, through which one parent is ordered to pay money to the other parent to help offset the cost of raising their child or children. Beyond issues of child custody and divorce, family law encompasses the establishment of paternity, surrogacy and adoption proceedings. Paternity - A paternity action asks that a court formally recognize a putative (presumed) father as the legal father of a child. 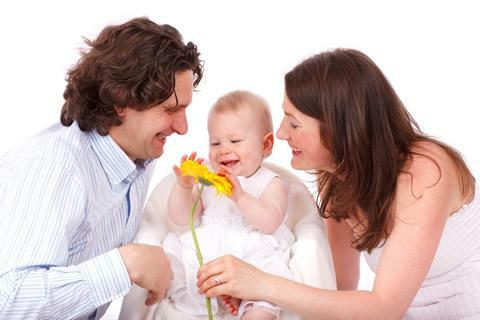 A paternity action may be brought by the mother, father, or by the state, and in some cases by the minor child. Adoption - Adoption laws cover the adoption of children and, in most states, may also provide for the adoption of adults. Adoption may occur in contexts including when a child is orphaned, the child's parents have had their rights terminated, or through stepparent adoption. Surrogacy - When prospective parents want to use a surrogate to carry their child, state laws regulate the circumstances under which surrogacy is allowed, whether the surrogate may be compensated, and the rights of the surrogate parent after childbirth. Sperm and Egg Donation - State laws regulate the donation of sperm and eggs, so as to establish the legal parentage of the couple that receives the donation, and to avoid third party parentage or custody claims following donation. Emancipation of a Minor - Most states allow for formal legal proceedings to declare a minor child to be fully or partially emancipated, such that the child is regarded as a legal adult for limited purposes such as owning real estate or entering into contracts, or more broadly with the child no longer being subject to parental custody. Some laws and legal proceedings that state may not treat as family law matters, but which are nonetheless closely related to family law, are guardianship and conservatorship proceedings, and proceedings following allegations or findings of child abuse or neglect. Although guardianship and conservatorship do not always fall within the penumbra of family law, and may instead be treated as probate or surrogates court matters, they often relate to family law and family relationships. Guardianship - The appointment by a court of a person who is authorized to help care for a person's day-to-day needs, including medical care and their place of residence. Conservatorship - The appointment by a court of a person who is authorized to help manage and attend to a person's financial needs or assets. A guardian or conservator may be appointed for a minor whose parents are temporarily or permanently unable to care for the child or, if a child is disabled, for the care of the child past the age of majority. Family members may also seek guardianship or conservatorship of a loved one who has become incapacitated by reasons such as illness, age, or addiction. Another area of law that is closely related to family law is child protection, the body of law that helps protect children who are neglected or abused by their caregivers. These laws cover matters including when a state may take custody of a child away from the parents, the placement of the child in the custody of a relative or into foster care, and subsequent legal proceedings intended to reunify the family or, if necessary, terminate parental rights. Some couples are even able to represent themselves in their divorce cases. However, as the case and issues become more complex, the need for professional assistance increases. For cases with complex issues, where the marital estate includes a family business, where there is a history of domestic violence, or where there is a significant imbalance of power, or where complex financial issues are involved, it is important to obtain help from a qualified lawyer. When seeking a family lawyer, you may be surprised by the wide range of legal fees that law firms quote. Some law firms advertise fixed fee legal services, while others bill by the hour. Hourly rates may vary significantly, as may the retainers charged by lawyers. In a divorce case when the parties are largely or entirely in agreement about property, child custody and support issues, there is usually no need to use an expensive firm. Although cost is not always an indicator of competence, and while the most expensive attorney is also not necessarily your best choice, the best family lawyers in your area are rarely going to be the cheapest. If you try to save money on legal fees, you may find that in the long-run that decision ends up costing you more than you save, whether in direct financial costs such as the division of property, retirement accounts and support orders, or other consequences such as your obtaining a less favorable custody or visitation order than you might otherwise have achieved. When you interview lawyers, keep in mind that a lot of attorneys who take family law cases are new to family law, either because they have only recently started to practice law or because they are trying to expand their practices to generate additional income. Try to investigate your lawyer or to get references from people who you know or trust, and don't feel obligated to hire the first lawyer who you interview.